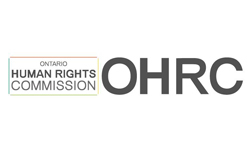 Toronto – December 12, 2014 – The Ontario Human Rights Commission (OHRC) has issued a statement regarding a recruitment program run by the federal government, in the wake of data pointing to the systemic exclusion of hiring women. The Seasonal Agricultural Workers Program (SAWP), administered by the federal government, brings more than 18,000 seasonal agriculture workers to Ontario annually — almost exclusively men. The OHRC action followed a request filed by UFCW Canada for an inquiry into systemic gender discrimination under the SAWP. UFCW Canada has been a long-time advocate for migrant agriculture workers, and in association with the Agriculture Workers Alliance (AWA), operates migrant worker support centres in a number of agriculture communities across Canada.